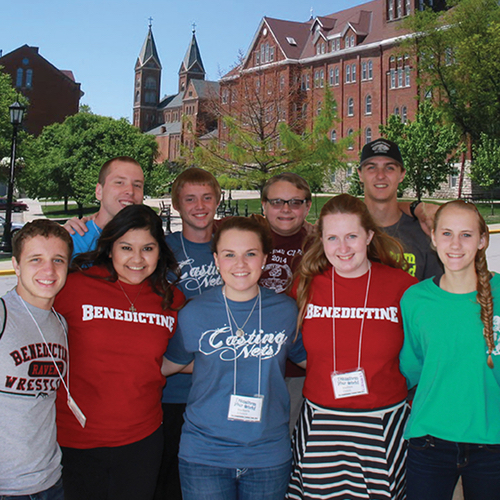 Casting Nets Ministries and Benedictine College presents the "Transform Your World Evangelization Training Camp," this once in a lifetime opportunity for high school students to be trained by some of the nation’s top evangelists in their field. This premier youth camp will train these dynamic youth how to be effective evangelists and disciples that will be able to bring the Gospel to all they meet. The participants will be trained how to help others develop an authentic prayer life, to dialogue about important religious truths and moral issues, to inspire their peers to authentic loving relationships in a chaste lifestyle, and to promote the dignity of human life from conception to natural death. All this while learning the fundamentals of sound evangelization. We are "Training the New Evangelists for the New Evangelization" To find out more, click on the button below.